A hereditary, non-contagious disease that leads to the misshaping of red blood cells, sickle-cell disorder affects more than 100,000 people in the U.S. -- mainly those of African descent, as well as Hispanic Americans. What makes this disorder so dangerous to a person's health? Since the red blood cells no longer have the normal, round disc construct, but a half moon -- or sickle -- shape, instead, they can clog blood vessels, consequently reducing blood flow and oxygen delivery to body systems. This can also cause pain and other symptoms, such as shortness of breath, stroke, jaundice, and more. 1. T-Boz. One-third of the TLC trio, T-Boz has been upfront about her disease for decades. 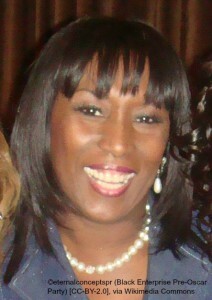 She's also the national spokeswoman for the Sickle Cell Disease Association of America. 2. 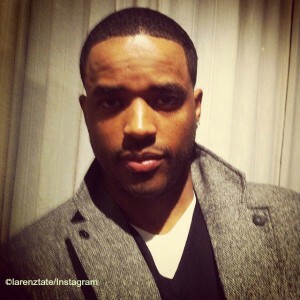 Larenz Tate. Best known for his role as Darius Lovehall in the 1997 classic, Love Jones, Larenz doesn't suffer from sickle cell, but is a strong advocate. To bring awareness to this disorder, Larenz, along with his brothers, founded The Tate Brothers Foundation. He also focuses on educating people with sickle cell about how to avoid iron overload with the "Be Sickle Smart: Ask About Iron" campaign. 3. Tiki Barber. Not only does this pro footballer strategize ways to win on the field, he also works hard to help others who suffer from sickle cell, as he does, win against the disease. To do so, he helps families affected by sickle cell learn more about the disorder, as well as learn more about the possibility of iron overload, which can stem from regular blood transfusions during sickle cell treatment. 4. Kiki Shepard. While Kiki doesn't have sickle-cell disease herself, this former Showtime at the Apollo co-host is an avid supporter of sickle cell awareness. In partnership with The K.I.S. Foundation, which she started, Kiki and a host of celebrity friends take part in an annual bowling challenge to raise awareness of sickle cell and to advocate for the education of the public about this disease. People with sickle-cell disease are now living longer, healthier lives due to increased awareness and improved treatment. If you have sickle-cell disease -- or you know someone who does -- try adding Xickle® RBC-Plus to your regular routine. An all-natural supplement made from extracts of sorghum, clove, and pepper, Xickle® RBC-Plus can actually help prevent red blood cells from sickling.